For the area, see Westphalia (area). Westphalia is a formable nation in North Germany, and can be formed by any countries with their capital in Westphalia (area). The country exists as vassal of France if the game is started between 9 July 1807 and 13 October 1813. 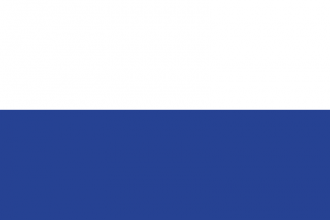 Historically, the Kingdom of Westphalia was a French client state created by Napoleon Bonaparte in 1807 as part of the Confederation of the Rhine. It was dissolved 6 years later in 1813 after the Battle of Leipzig. 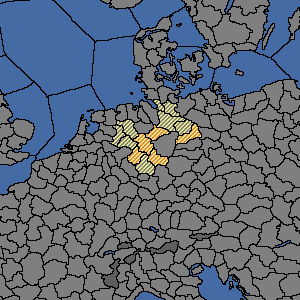 Forming Westphalia requires owning and coring the red provinces and gives claims on the yellow provinces.